Courtney Eaton attended the Panthere de Cartier Watch collection launch party on Friday(May 5th) at Milk Studios in LA. 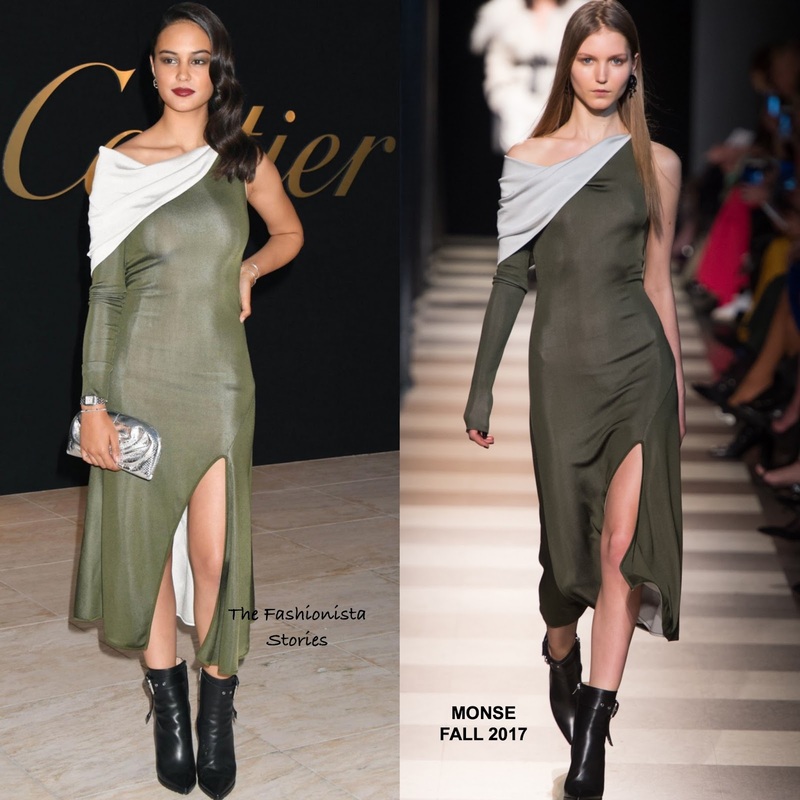 Turning to designers of the moment, she was head to toe in MONSE FALL 2017 which featured a one long sleeve olive midi dress with a draped neckline & white contrasting underlining and black leather ankle boots. Love her glam beauty look which complimented her dress. However I kinda wish she ditched the boots on this occasion because I think ankle strap sandals would have been ideal. Do you agree or does the boots work for you?